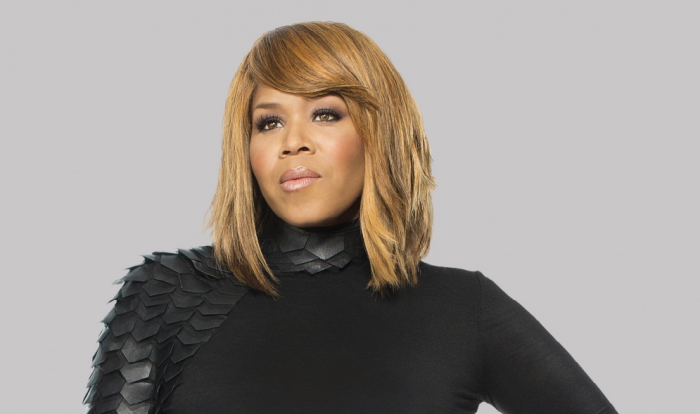 The world witnessed the unraveling of Tina Campbell's sanity when her father died and her husband admitted to multiple infidelities on the WE tv hit reality television show "Mary Mary." Now that filming has begun for season five, the gospel singer and author refuses to compromise her faith by representing drama. The 41-year-old mother of five built a career as one half of the gospel music duo Mary Mary along with her sister Erica Campbell, who also serves as her reality television co-star. While Tina is the more outspoken of the sisters, she admits that this season is harder for her to film because of her decision to release negativity in her life. "I'm not what TV likes. TV likes drama and I have a very big personality, [and] I think TV likes that kind of person, but, they're looking for fear and problems," Tina told JET magazine. "I ain't that. So it's challenging for me at times. They've got to be creative when they're taping my life and things." The singer has publicly documented her decision to forgive her husband, Teddy Campbell, for sexual infidelities and they have even renewed their vows. After engaging in a number of interviews, taking to social media, creating an album and devotional book about overcoming marital strains, Tina is ready to document the results of forgiveness on her show. The singer was previously very candid about the state of depression she was in and shared it with people during her live presentation of her new projects called "An Evening With Tina Campbell" that turned into a tour. Campbell has been open about sharing her testimony in order to help encourage others. "Part of my testimony, my willingness to speak about the difficult times, comes from the joy I have in the knowledge that it was God who saved me," she previously wrote on the Yahoo! Music Instagram page. "I want to let those feeling as low as I once did know that if He brought me through, He will bring you through! #OnlyJesusDidIt"